Posing yourself as a renowned expert is an idyllic way to enhance your online visibility and boost up your reliability. The World Wide Web offers you tremendous opportunities to be featured as an official expert, some free of cost and some with minimal investments. Now let’s have a look at the 7 simple tips you need to know to enhance your online visibility. Earn your practiced wings and then claim your opportunity for visibility. Make sure you have a thorough knowledge on your domain; you are expected to know every bit of even the latest updates to be a noted personality. Leave no stone unturned when it comes to being an expert. Understand your capability. 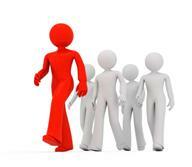 Know your target audience and abridge the gap between them and you. Know what you know and what your audiences need to know. When you say you are a presenter who coaches small and middle level business people achieve their sales target, then you are supposed to have tremendous and unquestionable knowledge than your viewers, you might not have so much knowledge on large scale business sector. That’s ok, not necessarily you need to be equipped in that too because that’s not your cup of tea. Be the precursor in your domain. 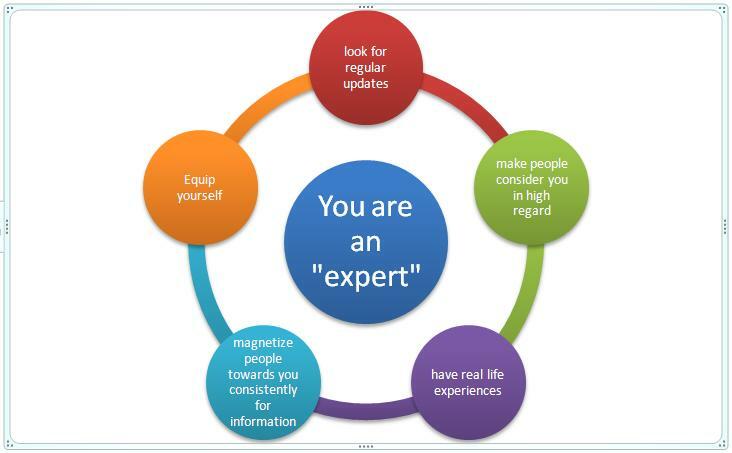 Be an encyclopaedia for who ever approach you in your field of expertise. Never try gauging your expertise against the peak stratum in your industry- gauge the needs of your precise audience first and never fail to satisfy their demands. Be readymade to your audience any time in the form of “contents”- articles, blogs etc… the best way of conveying your knowledge on the topic of your domain. At times when you have created a huge buzz and a large demand for your product/service, you may be expected to provide even more than 10 to 15 articles a day, always be available– whenever they need. Many a times your knowledge is expected in the form of “words”. When you wish to be an online expert, it is obvious you need to say “who are you?’ Ask yourself “Who am I?” “What’s your title? How do you brand yourself? You need to create a title for you say a “Marketing expert” or “Online expert”, “webinar expert”, “Online creative buzz” – whatever be your name or title, ensure it is something that is most fancied by people. Optimize your title for the search engines. Make it easy reachable even by the general audiences other than your regular buddies. In this case you can also seek the help of your site too. They are sure to have a target segment with a specific strategy for the sector. Make use of all the knowledge and promote yourself more stridently. Days have gone to travel miles to reach a person, it’s the digital era and so ensure you are just a click a way. Whatever comes on your way to prove you are an “expert” grab it, if your site offers you bonuses, badgets or any other honors in various forms ensure you get it, because all these might add up to your grade and move you a step ahead towards your goal. Have all your online moves predicting that you are a trusted person, whom they could depend on for reliable information at any time. Keep your word – do not bait and switch. Be an expert and project yourself as an expert on your play area and gain the name that you are a great person to connect with.